Microsoft weren’t happy at the prospect of making a product without Windows. The Xbox is now one of the major forces in modern console gaming, and a cornerstone of Microsoft’s media, hardware, services, and ecosystem strategies- but it was a lot of trouble simply getting the console off the ground originally even within the company, it sounds like. 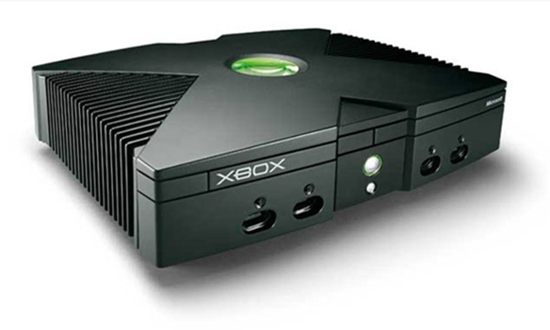 Speaking to IGN, Xbox co-creator Ed Fries discusses the story of the Valentine’s Day Massacre, which was the first time the pitch for a new living room gaming console by Microsoft – one that would not be running Windows, but would, in terms of hardware, essentially be a PC in a box- was made to Bill Gates. This is at the height of Microsoft’s Windows monopoly, and their reliance on, and insistence to push, Windows, so the idea of a major product from the company not somehow tied in to Windows went down about as well as you’d expect. As transcribed by NeoGAF (with minor editing done for grammar), “So we go into the meeting around four o’clock Valentine’s Day- Bill walks in, he’s holding a PowerPoint deck and he yells, ‘This is a ***ing insult to everything I’ve done at this company’ and that was the start, so we all looked at [Xbox director and designer J Allard], because we knew Bill’s mad about the no Windows thing, because we forgot to ‘pre-disaster’ him. So J is in shock for a minute, and Bill yells at me and shuts me down, and Robbie steps up and Bill shuts him down anyway, and then Ballmer goes through and says we’re gonna lose a lot of money and he’s beating us up about that. Hours go by its five o clock, its six o clock, it’s Valentines Day! Most of us have something going on! This does reinforce the old story and notion that Microsoft only ever entered the console market because they felt threatened by Sony’s success in the living room- it’s also a fascinating story of how a product that would go on to become such a major part of Microsoft’s overall strategy was first met with so much internal resistance. Funnily enough, that seems to be the case, more often than not- Sony, too, had trouble getting the PlayStation project approved internally (to the extent that PlayStation creator Ken Kutagari had to develop the product in secret), and only grudgingly gave the go ahead for the console after they were reminded of Nintendo’s success in the living room, and their public betrayal of Sony- and even then, only on the condition that the PlayStation distance itself from Sony’s brand as much as possible. Today, PlayStation is arguably Sony’s most important consumer electronics product.